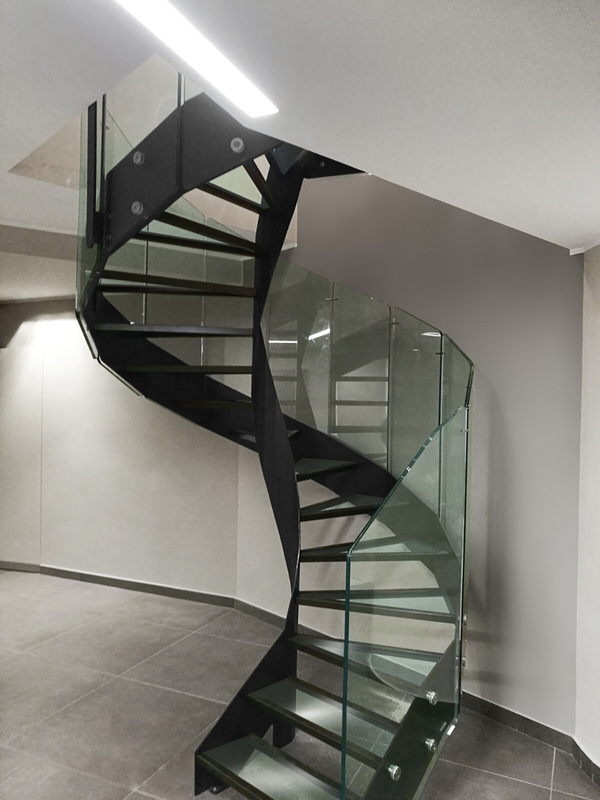 The steel and glass helical stair in the picture above is Joy, the most recent of the design stairs included in our collection. 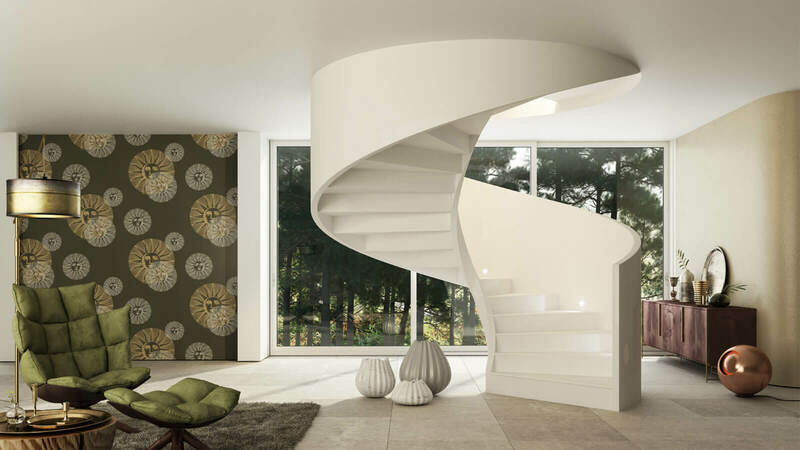 Its playful and glamorous style, made of curved lines and dimensional contrasts, recall a bit the 70s. 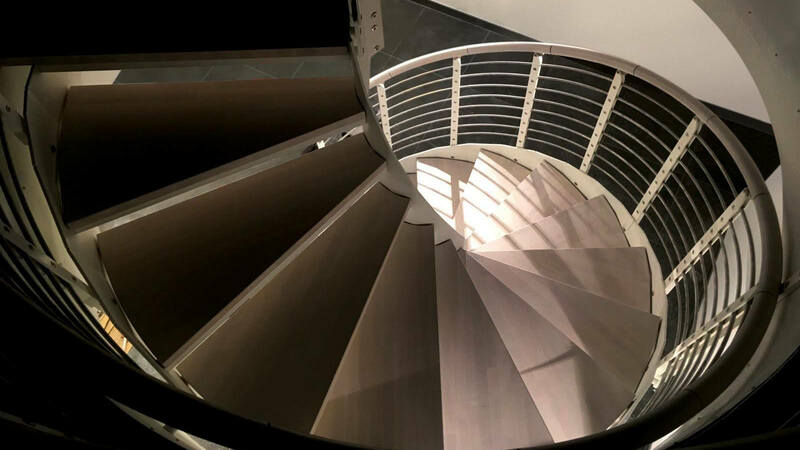 However, thanks to its technical performance, Joy is not only an interior stair, but also a perfect public use stair. 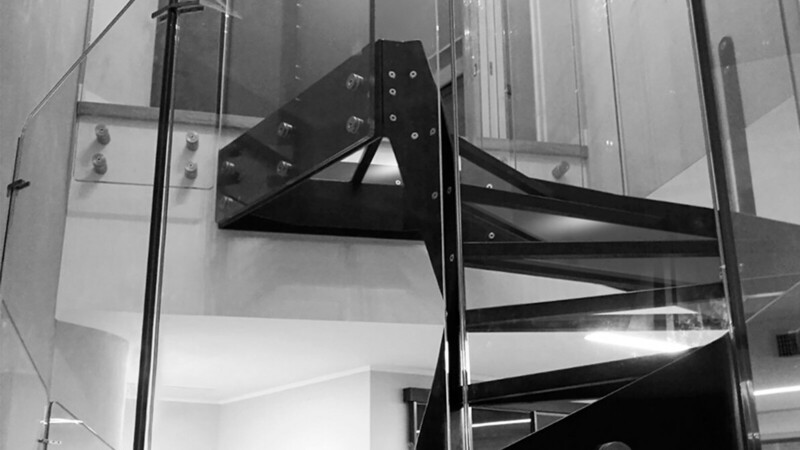 We propose here its polished stainless steel version, with extra-clear glass steps. 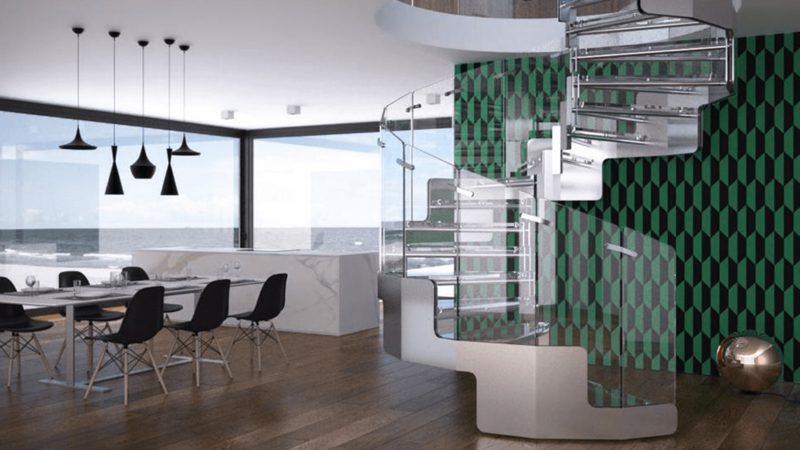 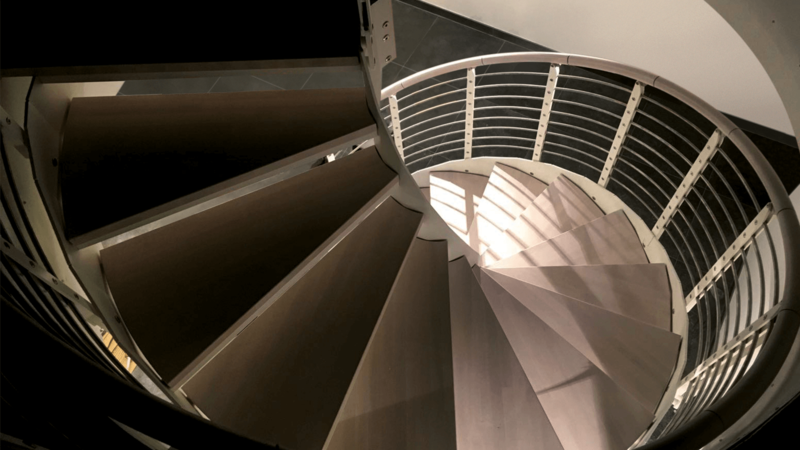 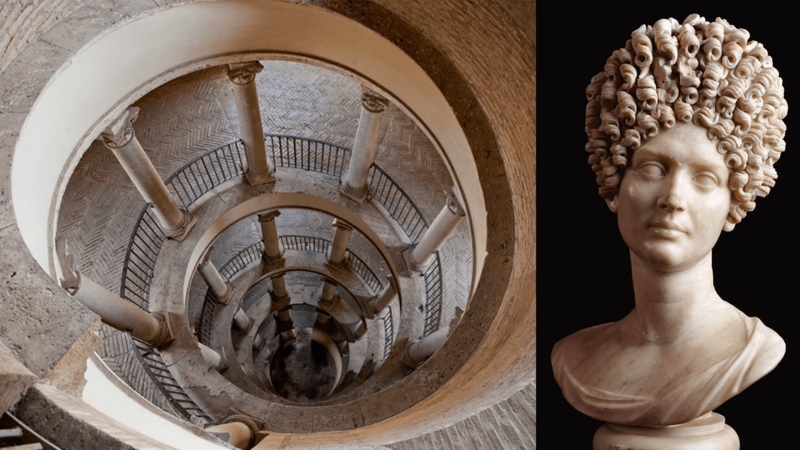 Whether called winding stairs (with a central supporting pole) or spiral stairs / helical stairs (with no central support), circular stairs remain favorites of our customers. 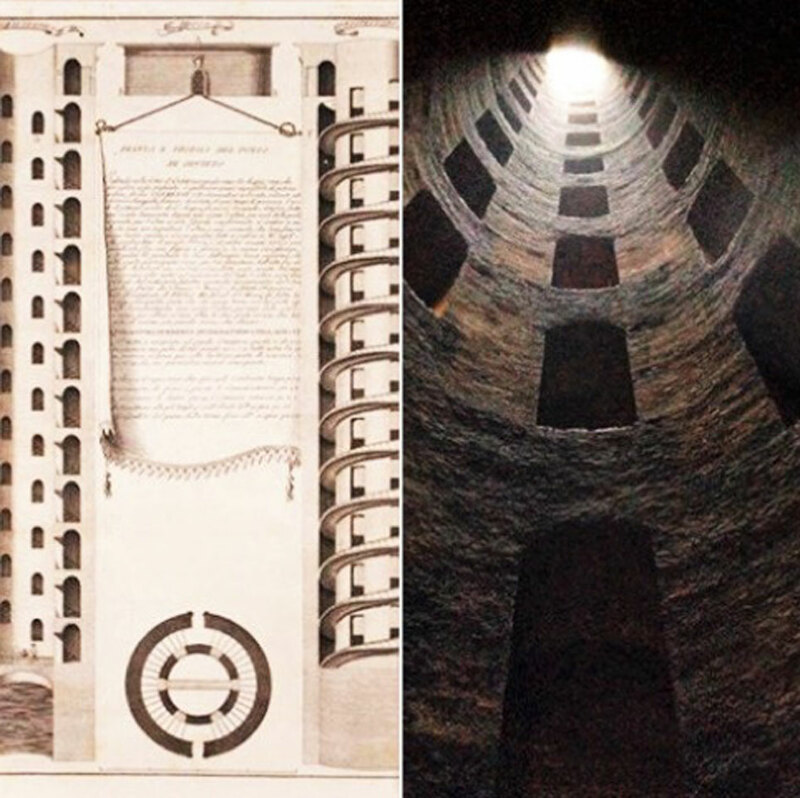 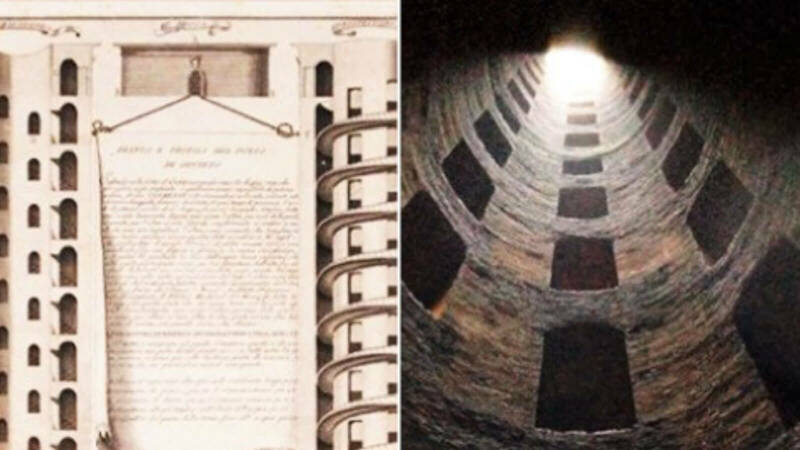 Their shape is in effect so widespread in nature and so fascinating and suggestive that throughout history man always reproduced it in drawings and artifacts. 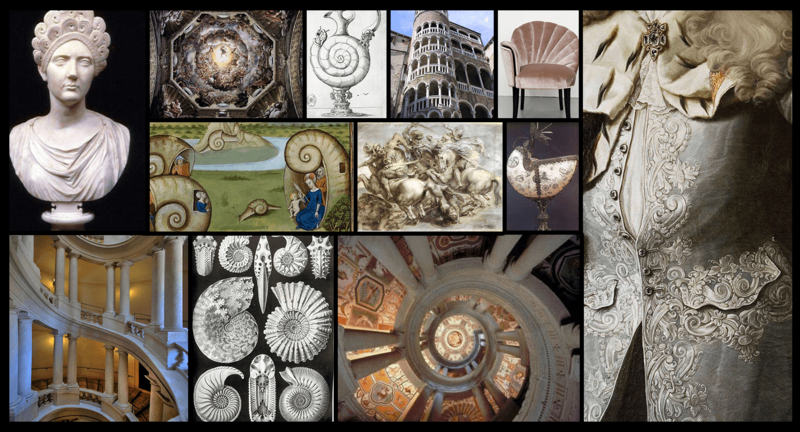 In this regard, we have fished some gorgeous pearls from the ocean of Web, for delighting you with a little Wunderkammer of helixes, swirls and spirals.